Ang Panday will follow the life of Flavio, a blacksmith who only wants peace. He will meet a beautiful stranger named Maria who will easily capture his heart. When a meteor falls down, Maria told Flavio that he is chosen to be a hero. Flavio doesn’t want to have anything to do with being a hero. From the remains of the meteor, Flavio crafted a dagger as a gift to Maria. But Lizardo’s men came and took Maria. Flavio will head on adventures after adventures to save Maria from Lizardo. 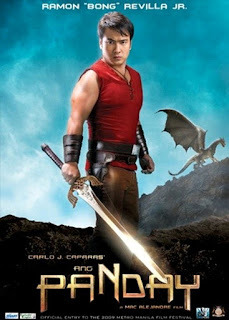 Ang Panday is a 2009 Filipino action fantasy film that adapts Carlo J. Caparas' Panday comics. 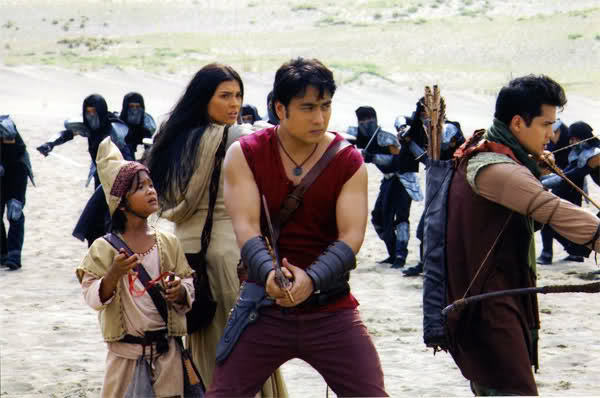 It was directed by Rico Gutierrez and Mac Alejandre, the film adaptation stars Ramon "Bong" Revilla, Phillip Salvador and Iza Calzado. It was released in December 25, 2009.